Pete McVoy is an Independent Contractor at ERC and is an expert in leadership and performance improvement training. Pete McVoy is an Independent Contracter for ERC. Pete joined the National Aeronautics and Space Administration’s Lewis Research Center as a Presidential Management Intern. He became an Employee Development Specialist and moved to Deputy Branch Chief, Training and Development where he was responsible for all professional and management development activities. McVoy coordinated the Total Quality initiative at Lewis Research Center and all executive, management, and supervisory education in support of this initiative. He also taught Leadership, Human Resources and Strategic Planning in the Lake Erie College MBA Program, the Fundamentals of IT, and Leadership as an Adjunct Faculty member at Cuyahoga Community College and Lakeland Community College. Pete then joined Blue Cross and Blue Shield of Ohio as Manager, Corporate Training and Development. His initial responsibilities included all training and development activities within the corporation, from operations through sales and sales management. His focus shifted with the addition of the design and delivery of education programs and processes necessary to support the deployment of Total Quality throughout the corporation as a part of the Malcolm Baldridge Quality Award process. He became the Director of Corporate Human Resource Development in 1994. 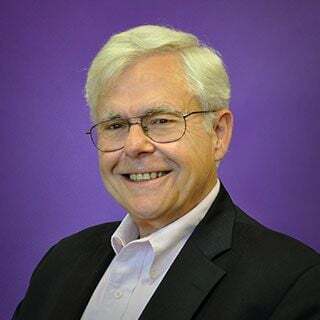 Pete founded Visioneering Inc., a management consulting firm with a focus on Leadership and Organization Development, Process and Performance Improvement and Strategic Planning. His recent clients include Price, WaterhouseCoopers; The Huntington Bancshares; Honda Manufacturing of America; Northrop Grumman; The Saudi Basic Industries Corporation (SABIC); The Port Authority of New York/New Jersey; United Technologies Corporation where he has designed and implemented a competency model for the management group; and Diebold, Inc. where he is focused on the development of the entire leadership team in the Global Customer Services Solutions Group and the Global Development Group.